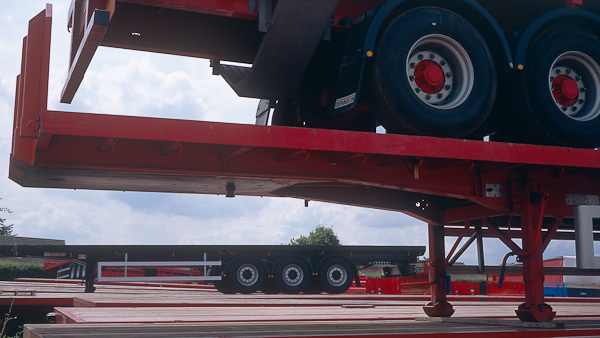 Platform / Flat trailers are the backbone of the general haulage industry. Regularly used for the road transport and storage of steel, pre-fabricated concrete and timber building sections. Generally 13.6m (45 feet) long and 1.5m (5 feet) high. Suitable for crane loading, side loading with fork lifts or rear loading from a loading bay. When fitted with twist locks can be used for the carriage of sea containers and when fitted with posts and sockets suitable for steel bars, pipes, poles and other circular material.